The latest diplomatic maelstrom between Saudi Arabia and Canada started with the last week tweet by Canadian foreign minister Chrystia Freeland, expressing her deep concern over the recent arrest of prominent women’s rights activists in Saudi Arabia — Samar Badawi (the sister of blogger Raif Badawi) and fellow campaigner Nassima al-Saddah — calling for their release. 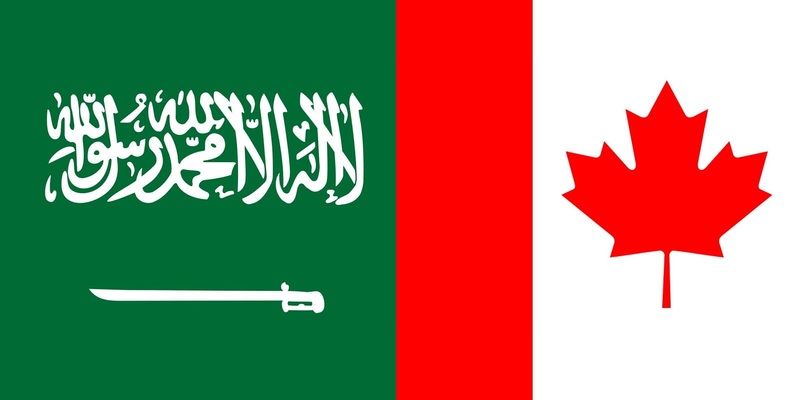 In response to the tweet, Saudi Arabia issued a stern warning (in the form of an official statement via Saudi Press Agency-SPA) to Canada for "blatant interference in the Kingdom's domestic affairs, against basic international norms and all international protocols." According to the statement, Freeland's tweet was considered as a "major, unacceptable affront to the Kingdom's laws and judicial process, as well as a violation of the Kingdom's sovereignty." The official statement in the aftermath of diplomatic spat carried an order of expulsion of the Canadian ambassador Dennis Horak. Also, trade and investment deals were halted, and 12,000 Saudi students ordered to return to the kingdom. As of now, its pretty much unclear if this official statement would directly affect existing annual Saudi-Canadian trade of nearly US$ 4 billion and US$ 13 billion defense contracts. The statement delivered via SPA caught diplomats in Riyadh off guard. Both the Saudi and Canadian ambassadors were away on leave at the time. The rift between the federal government and Saudi Arabia has prompted the country’s state airline to suspend operations in Canada. Saudia, also known as Saudi Arabian Airlines issued a tweet early Tuesday saying flights to and from Canada would be suspended starting August 13. Badawi's brother Raif Badawi has been in a Saudi jail since 2012 for his criticism of the regime. He was lashed 50 times in 2015. She has been previously arrested in 2016 and subject to a travel ban in 2014. The whereabouts of Badawi along with Nassima al-Sadah, arrested on the same day, are currently unknown. In the summer of 2018, Raif's wife, Ensaf Haidar, and their three children became Canadian citizens. They currently live in Quebec's Eastern Townships. Since mid-May, a number of prominent women’s rights activists, including Loujain al-Hathloul, Iman al-Nafjan, and Aziza al-Youssef, were arrested and still remained in detention centers without charge and incommunicado with no access to their families or lawyers. Under Crown Prince Mohammed bin Salman (MBS), Saudi Arabia has reacted more aggressively in the past against countries that it perceives as intervening in its internal affairs. In 2015, the kingdom temporarily recalled its ambassador to Sweden and put a hold on business visas after Foreign Minister Margot Wallstrom criticized the flogging of Raif Badawi and scrapped a US$ 39 million arms deal. And this past March, it was reported that MBS, had ordered a freeze on all government contracts to German firms after the country's foreign minister criticized Saudi "adventurism" in Yemen and Lebanon. In this current diplomatic spat, the most of "the Middle East" has extended their support to Saudi Arabia which includes the governments of Bahrain, and the United Arab Emirates, the Muslim World League, Gulf Co-operation Council (GCC) and Palestinian President Mahmoud Abbas. Whereas, the rest of the world has maintained staunch neutrality which includes the U.S. State Department itself — which has asked Saudi Arabia for more information about the detentions, and to publicize details about the status of legal cases.